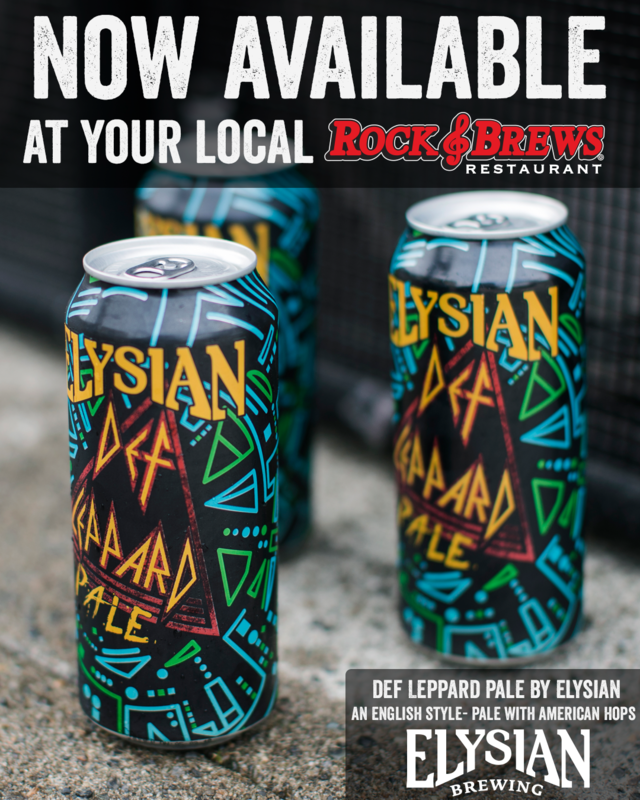 Rock & Brews Restaurants have teamed up with Def Leppard and Seattle-based Elysian Brewing Company to introduce Def Leppard Pale to their customers and are offering fans a chance to win tickets to see Def Leppard on tour this year. Known for handcrafted American food, a mix of more than 100 craft and classic styles of beer on tap and in bottles, and their authentic rock-inspired, family-friendly atmosphere, Rock & Brews Restaurants throughout the United States will be the first restaurant brand to offer Def Leppard Pale. In celebration, Rock & Brews Restaurants have a variety of promotions planned, including an opportunity for fans to win tickets to see Def Leppard on tour in many Rock & Brews’ markets, as well as a chance to win a trip for two to see the band in Los Angeles on October 7, 2018. “Rock & Brews celebrates everything that is rock and roll and is the perfect place for fans to indulge themselves with a cold Def Leppard Pale,” said Joe Elliott, lead singer of Def Leppard. Def Leppard Pale was brewed by Elysian Brewing Company in partnership with Def Leppard to fuse the infamous malt bodies of British ales with the mysteria of Pacific Northwest hops. The launch of the beer was timed to coincide with the Def Leppard 2018 tour. For details about beer and concert ticket promotions, visit rockandbrews.com or contact your local Rock & Brews restaurant.